Get inspired on this year’s 8th Annual Whittier-Mapleton Hill Garden Tour. 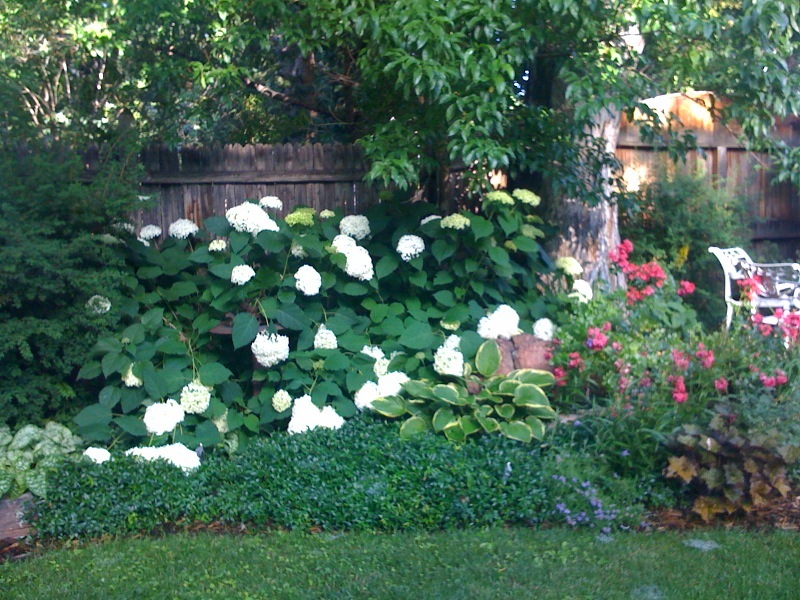 Join this self-guided walking tour of spectacular private gardens in one of Boulder’s most prized neighborhoods, the Mapleton Hill Historic District. As you tour, absorb the abundant and lush beauty of nine spectacular gardens. Get advice and ideas from knowledgeable garden hosts, designers, expert garden volunteers, and CSU Extension Master Gardeners. All will be on hand to discuss and enjoy the gardens with you. The gardens are easily accessible and a short walk from each other. The 2010 Garden Tour has introduced a new benefit for tour participants. All ticketholders will receive a free Goodie Bag with various treats and offers from the Tour’s sponsors. Some of the items include a free glass of wine at The Kitchen, lip moisturizer, bicycle bell, free exercise class at The Bar Method, and bottle of local spring water to name just a few. The Annual Mapleton Hill Rummage Sale takes place on the same day, bringing an extra buzz to the neighborhood and both events are the perfect kick-off to the summer season. An inspiring smaller garden that has been twenty years in the making, demonstrating a gardener’s passionate eye for complex perennial arrangements and abundant plant variety. The Whittier-Mapleton Garden Tour is more than just a day of revelation and fun. By taking part in the garden tour you’ll make a direct and meaningful contribution to help sustain the quality of programs at Whittier International School. All of the proceeds from the tour—100 percent—directly benefit the students of Whittier. The Whittier student body spans a diverse cultural and socio-economic spectrum. The children represent 29 countries and speak 19 different languages. Nearly 40 percent of the students receive free or reduced lunches. The contribution you make to Whittier through our garden tour is dedicated to programs that support these diverse needs. Our garden tour fundraiser is even more important this year because of impending budget cuts throughout the Boulder Valley School District that will deeply affect core academic programs. When: June 5, 2010; 11 a.m. to 3 p.m.
Where to buy Tickets: Advance ticket sales at: West End Gardener, Sturtz & Copeland, and Pharmaca at Alpine and Pearl Street and the Flower Bin (in Longmont). Day-of-event sales at: The Boulder Farmers’ Market, the former Mapleton Elementary School at the corner of 9th and Mapleton; 402 Pine (the corner of 4th & Pine St.); and 702 Pine Street. For more information go to www.whittiergardentour.com.